Welcome to Van’s Transmissions Inc. We specialize in all import and domestic transmission rebuilding and car repair. We have been proudly serving Gretna, La., and surrounding areas with quality service since 2004. With over 25 years of experience in the automotive industry, we are confident that we will get your vehicle back on the road and running as good as new. 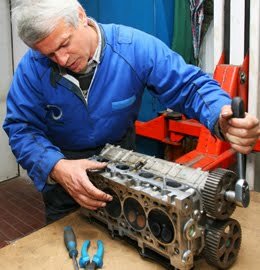 We have over 25 years of experience in the auto repair industry. We offer 10 percent discounts for all senior citizens and military personnel. We stand behind all of our work with a one-year, 12,000 mile parts and labor warranty. We offer free estimates, free towing with major repairs and free road testing and diagnostics. If you have any questions regarding our service, please feel free to contact us at 504-361-8333. Our friendly and professional staff will be able to assist you with any questions or concerns that you may have. We look forward to earning your business and building a lasting relationship.